With Branddocs TrustCloud your company will have simple, advanced and recognized, as well as biometric electronic signatures available to use. A digital signature is a cryptographic mechanism which allows the recipient of a digitally signed message to determine the originator of the message (to authenticate the origin and ensure it is not repudiated), and confirm that the message has not been altered since it was signed by the originator (i.e. guarantee its integrity). The electronic signature is a broader concept than that of the digital signature. The second refers to a series of cryptographic methods, while the concept of 'electronic signature' is essentially legal in nature. Thus, the electronic signature is a set of data relating to a person recorded in electronic form, and which, together with others or associated with them, can be used as a means of identifying the signer. 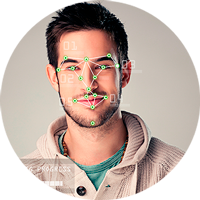 A biometric signature is a type of electronic signature. It uses the physical features of the signer (fingerprint, iris, stroke used on signing with a digital pen, etc.) to identify him or her. 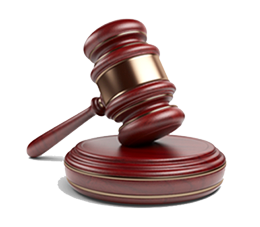 Types of eSignatures according to the legal criteria: Simple, Advanced and Recognized. Unmistakably identify a signer we only know by telematic means. Detect any subsequent change in the signed document. Prevent the signer from subsequently denying being part of the signing of the document. These characteristics make electronic signatures an essential element for the development and consolidation of secure digital transactions. In view of this importance, and in order to promote a digital single market and to establish a community-wide legal framework for the use of electronic signatures and other trusted services, Regulation 910/2014 of the European Parliament and the Council of July 23rd 2014 concerning electronic identification and trusted services for electronic transactions in the internal market ('eIDAS Regulation') was approved. This standard will be fully implemented in all Member States of the European Union from July 2016, abolishing both the previous Directive 1999/93/CE, concerning electronic signatures, and the national laws and regulations whose content would be contrary to the provisions set forth in eIDAS. All of the above laws, regulations and directives encompass the fundamental legal environment accompanying electronic signatures in Europe. 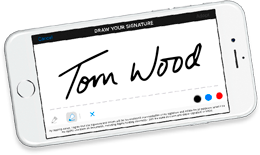 Signing with an electronic pen when using a credit or debit card in a store. When marking a box on a computer, either by typing or applied with the mouse or with a finger on a touch screen. Entering a user name and password. The advanced electronic signature is the electronic signature which makes it possible to identify the signer (identity) and detect any subsequent change in the signed data (integrity).It is also linked to the signer in a unique way and has been created using means that the signer can maintain under his or her sole control. Lastly, an electronic signature is considered to be qualified ("recognized" in accordance with the previous regulations) that advanced electronic signature based on a certificate that is recognized and generated by a secure signature-creating device. A qualified electronic signature has the same value in relation to the details recorded in electronic form as a handwritten signature has in relation to those recorded on paper. The qualified signature is one that is generated, for example, by the digital certificates of the FNMT or the Chamber of Commerce (Camerfirma) and the electronic National Identity Document.